Royalty Free Coaching Products On Your Website, To Your Friends And In Your Email Signatures! By simply placing links on your website or by sending your email list a feature or plug for our site, you get paid $48 for every successful sale that arises from your link. Our program is free and simple to join. All you have to do is follow the steps outlined below and within minutes you will be ready to start earning your hefty commission. Joining our affiliate programme is very easy and will take you less than 2 minutes! Please note that commissions are paid only for the Royalty Free Products (i.e this product). If any upsells or additional products are purchased as part of this package or in the future then there will be no commissions due on those products. Below you will find some tools to help you drive some clicks to my website. All you need to do is get visitors to my site as it will do all of the selling for you! Attach your affiliate link to any of the tools below and watch your monthly commission checks go through the roof! Place the cover on your website and attach your affiliate code to it. 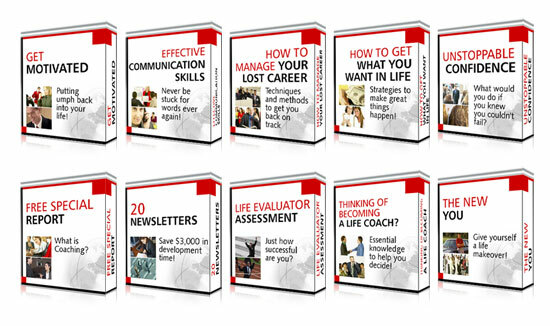 Click Here to Discover How You CAN have your very own hot-selling coaching products! 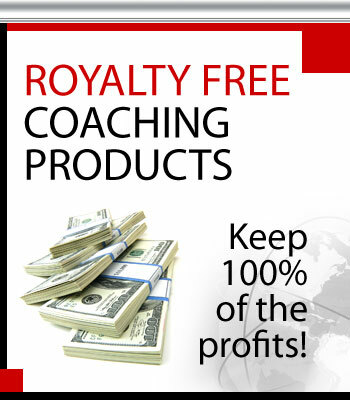 Click Here to Discover How You CAN have your very own hot-selling coaching products and keep 100% of the profits! Don't Wait Another Moment! 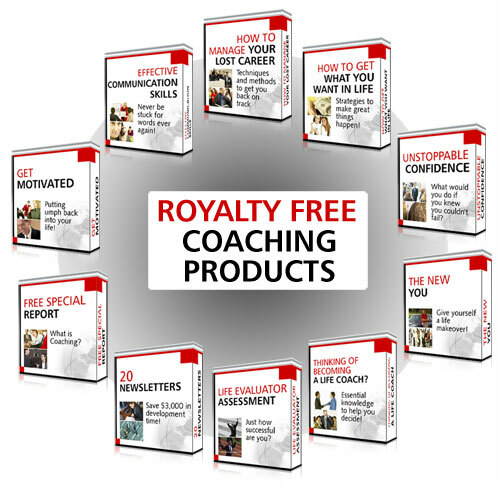 Click Here to have your very own coaching products! As an affiliate you agree not to spam and you are soley liable for any unethical spamming tactics. We will not be held accountable for such actions and take no responsibility for spamming activities on behalf of our affiliates. We as a company do not promote or indeed condone spam emails. as they are ethical, ligitimate advertising means through opt-in and permission based marketing.